Gene is a licensed real estate broker & co-owner of CENTURY 21 Davis Realty, Inc. He is a A resident of Nevada County since 1977 and Gene is a past Director of the Nevada County Board of Realtors and past Chairman of the Education Committee. Gene is currently the Sales Manager and Head of Agent Training at CENTURY 21 Davis Realty, Inc. His wife, Joan, is a multimillion-dollar producer and is also a co-owner of Century 21 Davis Realty, Inc. 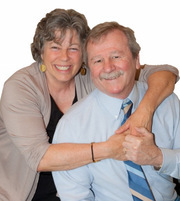 Together they have penned over 2,000 listings taken and properties sold (combined) since joining the Nevada County Multiple Listing Service in 1986. Gene is a consistent multimillion-dollar producer, selling in all of Nevada County as well as parts of Sierra and Yuba counties. His areas of expertise are land sales, homes, vacation properties and ranches. Gene knows how to arrange even the most difficult financing, and has a proven marketing plan for each type of property. Call Gene today for an appointment to discuss marketing or a purchase.